Contact us for information on partnering with A Greater Dimension Ministries and getting your contact information on our page. 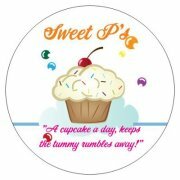 "A cupcake a day, keeps the tummy rumbles away"
"Educate Yourself to Empower Yourself to Enable Yourself to Impact Your World"
CHISM GROUP was created to assist small businesses with solutions that will take you to the next level. Whether you want to enhance your technology department, learn how to manage your lifestyle through health education or just need to apply grants for your organization. From car financing decisions to managing money as new parents. "Becoming the best “YOU” you can be"
Aleesha M. Bradshaw had a vision to help low income families who are suffering from the financial strains of the economy. Ruth’s closet is an organization that allow individuals to buy clothing for $ 1.00 – and can be considered the dollar store for clothing. Click our logo to link to our website! 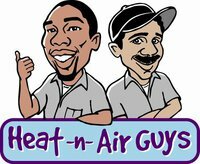 Heat-n-Air Guys is a customer focused heating and air-conditioning company located in Darby, PA. We employ highly trained people whose goal is to make our company the best service company in Philadelphia, PA and theTri-State Areas. Click our logo to link to our website.